Well, for the time being, Mr Rudd has left the leadership but has not ruled out a challenge. Now Ms Gillard and her deputy Wayne Swann are lurching from lie to disaster to lie to under-the-carpet sweeping manoevers. Surprisingly, for all her lies and lurches, the two party preferred is still 50/50. (Labor is on 35, the Coalition 42 and Greens on 14) Obviously, some are not concentrating! Anthony Watts in a posts titled: Climate science solar shock and aweinforms us of a story in New Scientist headed: The Sun joins the Climate Club. Where has New Scientist been hiding? A week before, Science Now published an article entitled SAY GOODBYE TO SUNSPOTS reporting on a paper -Long-term Evolution of Sunspot Magnetic Fields Authors: Matthew Penn, William Livingston submitted 3 September, 2010 to the International Astronomical Union Symposium No. 273, an online colloquium. Astronomers have been observing and counting sunspots since Galileo began the practice in the early 17th century. From those studies, scientists have long known that the sun goes through an 11-year cycle, in which the number of sunspots spikes during a period called the solar maximum and drops—sometimes to zero—during a time of inactivity called the solar minimum. The last solar minimum should have ended last year, but something peculiar has been happening. Although solar minimums normally last about 16 months, the current one has stretched over 26 months—the longest in a century. Are Monbiot and the Guardian Deniers? What The Guardian first printed and then deleted. I saw this comment just after mine. Now it isn't there. THE CENSORSHIP by the Guardian really makes them deniers, doesn't it? George, YOUR "poser" must be applied to yourself! You ask: "Are people who entertain a range of strong beliefs for which there is no evidence naturally gullible?". Well you are a person with a strong belief in man-made(CO2) Global Warming / Climate Change, and there is no evidence for it. So are you naturally gullible? If you have observational data evidence for the theory - using available data for the last hundreds, thousands and millions of years - let's have it. We don't want your usual opinion-polls, bluster, innuendo and opinion of peoples' attitudes, vibes and mental states we want EVIDENCE-BASED SCIENCE. 1. The theory of Man-made Global Warming & Climate Change is failed science based on fraudulent data. IT JUST DOESN'T ADD UP! All the dire predictions of the UN (IPCC) since 2000 have failed. CO2 does not cause extreme weather. The world is cooling not warming. There is no evidence in 600, 600,000 or 600million years of data that changes in CO2 levels in the real atmosphere drive world temperatures or change climate; indeed it is temperatures which generally drive CO2 levels. - See http://bit.ly/9UKlBD . Extra CO2 has ZERO effect, and any concession to the notion there is somehow some 'weak' effect waiting to happen falls into the trap the Climate hype industry machine has set for the ill-informed and the usual Appeasement brigades who surface in all political conflicts. 2. The driver of all important weather extremes is solar activity. In the end it is extreme weather that matters rather than averages and this is controlled by Jet stream shifts and extra activity of weather fronts, and These are driven by changes in solar activity and largely predictable – See ongoing discussion in Comments as link above, http://bit.ly/bpZDlp - espec comment Aug 8th concerning predicted changes in the jet stream + records of the solar activity that caused them. 3. MORE CO2 is GOOD not bad. would double the cost of electricity and double the amount of coal used to produce power because carbon fixing (‘sequestration’) is very energy intensive. Boy! Does the Moonbat know how to put his foot in it? You bet he does. On his blog - link in title - he does it continually! Are the climate change sceptics with no evidence just naturally gullible? Point one: "Climate Change Sceptics". Who are the Climate Change Sceptics? 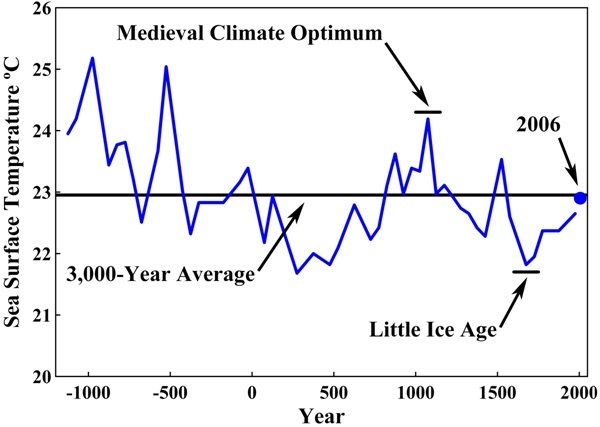 I know most people I associate with are greatly sceptical of the "Science" of Anthropogenic Global Warming (AGW) but are very aware that climate changes, that climate has changed since the beginning of time. We know that there have been periods of warming and periods of cooling. We know that there have been Ice Ages and Inter-Glacials. We know that in the current interglacial that there has been warmer periods than the late twentieth century. The Minoan Warming, the Roman Warming, The Medieval Warming. Even CRU's Phil Jones admitted that there was nothing unusual about the late twentieth century warming. Therefore no Climate Sceptic who I know could be called a Climate Change Sceptic. 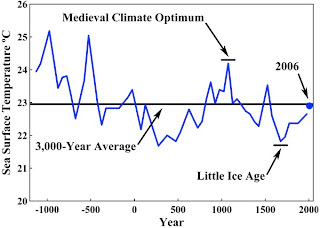 On the other hand, the Alarmists wanted to erase the medieval warm period to show that the late twentieth century warming was unusual (Overpeck to Deeming) and so the fraudulent "hockey stick" graph was created. M & M showed that putting phone numbers from the Canadian phone book into the Hockey Stick code still produced - quel surpris! - a hockey stick. AND why the hockey stick? To show there is unusual warming in the late twentieth century. Denying the fact that climate changes! The Alarmist, therefore, are the true Climate Change Deniers! Are the Alarmists, the true climate change deniers with no evidence just naturally gullible? Let's ask the Alarmists where is the evidence that AGW is caused by Carbon Dioxide. I have been asking this question for a decade. There is no evidence that anthropogenic CO2 emission are causing AGW.There is however evidence from the Vostok Ice Core sample to show that warming precedes rise in atmospheric CO2 by 800 +/-200 years. So, I suppose we can ask: Are the Alarmists with no evidence just plainly gullible. It is interesting that Walter and his correspondents seem to know more about climate science than most of the MSM. Regarding "The best science indicates humans causing warming" (Page B7, Saturday), Robert Curl is making two invalid assumptions. First, he assumes the administrators of the National Academy of Sciences represent the opinions of their 2,480 members. In fact, there is no document that any representative number of these 2,480 members have signed expressing their opinion that the hypothesis of human-caused climate change is valid. Second, he assumes there is some "best science" out there that prevails over the body of opinion represented by Walter Cunningham ("Climate change alarmists ignore scientific methods," Page B10, Aug. 15). In fact, neither Curl nor any of the proponents of human-caused climate change can demonstrate a valid hypothesis to support their opinions. If a hypothesis makes any incorrect prediction, the hypothesis is wrong. It does not matter if you have a Nobel Prize. If the prediction is wrong, the hypothesis is wrong. An overwhelming body of science has proven the hypothesis of human-caused climate change is wrong. In regard to "The best science indicates humans causing warming" (Page B7, Saturday), climate change is happening and global warming is happening — but it ain't being caused by us pesky humans. Robert Curl's verbiage points a crooked finger directly at me and you, and it shouldn't. Award-winning scientists such as Professor Curl are prime suspects for marching with a flute in their hands, leading an innocent group of followers down a path of believable logic (albeit wrong). If humans cause global warming how do you explain the constant, steady pattern of ice age-then-warming, ice age-then-warming, that is documented over the past 500,000 years? The problem with those who believe in human-caused global warming: They only cite references that support their theories. No one looks up anything, and Curl gets another award and probably a pay raise from Rice University. On Monday Aug 16th at 10 am The Climate Sceptics will announce their Northern Australia Water diversion vision at Berri next to the River Murray. Several Irrigator groups have been invited to attend the announcement and discuss the idea which Barker Candidate Steve Davies and Senate candidate Leon Ashby will explain. Leon Ashby says "Australia has one of the world flattest inland landscapes that would lend itself to having the most efficient water diversion scheme in the world - if anti progress Green ideology was overcome." The environment award winner says: "I lived in North Central Qld for a decade and saw the massive amounts of water that northern rivers have at times. I was runner up for a Qld Landcare research award which moved water gravitationally over a 10,000 acres rather than let it flow down several creeks) It was a mini version of what can be done across Australia." The Senate candidate says "There are 4 areas in Australia where water diversions should be properly investigated (provided most of the water was used for irrigation and city purposes) which then pays for the scheme. 4) A pipeline from Lake Argyle in the Northern Territory across to Qld. Mr Ashby adds: "In 1980s the Bjelke-Petersen government commissioned its own study. Bringing together four of Australia’s best-known hydraulic engineering firms - Gutteridge, Haskins & Davey; Monro & Johnson; McIntyre & Associates and Cameron McNamara - the State government formed the Bradfield (Northern Rivers) Study consortium in 1984. This report was never released!" Mr Ashby pledged that if elected to the SA Senate he will champion a visionary Northern River diversions system transparently pricing and evaluating each on their cost/ benefit ratio of volume water provided versus setup cost, and built in stages and structured so water and land sold as part of the scheme then paid for the building costs over time. He concludes "Water could flow via gravity from Hells Gate in North Qld to Murray Bridge or almost anywhere in the Riverina if we desired it. 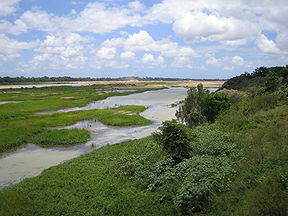 23% of Australias runoff (in other words 6 times the water in the Murray Darling) flow runs out into the Gulf of Carpentaria each year. Only 3% of the water in Lake Argyle is used each year. There is oodles of water if we are not brainwashed into the anti progress green ideas." It is a plan that would stop Riverina farmers losing their water rights and bring greater prosperity to rural communities inland. The UK Guardian praises Sceptics. What you say? I repeat, the UK Guardian praises Sceptics. Scepticism is a healthy attitude to adopt to many, if not all, untested propositions. Sceptics throughout history, by applying their reasoned judgment and hard-headed critical faculties, have exposed lies, delusions and superstition. Well, that's right. We have looked at the flawed hypothesis that man-made CO2 emissions are causing runaway global warming, picked at it, looked at both sides of the argument and found it wanting. So, does the Guardian agree with us? No. "Which is why scepticism is entirely the wrong word to apply to those who deny that emissions of carbon dioxide from human activity are leading to rises in average global temperatures, with potentially disastrous consequences. True sceptics respond to evidence." "Research, led by the US National Oceanic and Atmospheric Administration, drew on data from 11 possible indicators of climate and found that each one suggested warming consistent with expected effects of rising concentrations of greenhouse gases." Call me a Sceptic and I may be wrong, but, reading the report three times through, I didn't see any mention of "rising concentrations of greenhouse gases." I did see mention of the el Nino/La Nina as a cause. But CAN WE BELIEVE THE REPORT? Well, if we look to both Jo Nova and the SPPI we find a different story. Joanne Nova says: "As usual, the official taxpayer-funded report is full of half-truths and strawmen. Arctic sea ice is shrinking (no mention of the Antarctic), the world is undeniably warming (yes, so? what’s causing that warming?). There’s the compulsory allusions to “consensus” — 300 scientists, blah blah blah (trust us! we’re experts). The interesting thing is that the seven different responses are all quite different, yet all skeptical, even though there was no coordination behind the scenes to create that. There are so many holes in the NOAA document, that seven commentators could fire ad lib, and for the most part, all find different targets." Craig Idso: NOAA is rewriting history.... The Vikings were never forced out of Greenland due to the nasty cold spell called the Little Ice Age. Dennis Ambler: Are sea-level rises accelerating? No sir. Plus Lord Monckton, Joe D'Aleo and Chip Knappenberger. So Guardian Editors, Seven critiques of the NOAA report. Seven examples of Reasond judgment and hard-headed critical faculties. And where did we come in?